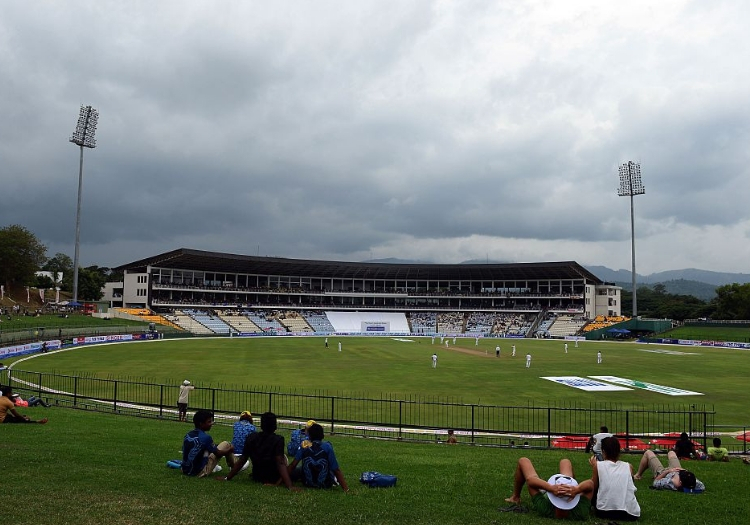 Sri Lanka Cricket have confirmed that England fans will be charged the same price as locals for use of some areas of the stadiums on this winter's tour, after an intervention by the Barmy Army. The England supporters' club took umbrage to some of the prices being charged by tour operators for match packages, with a single day's entry costing an average of £50 - including drinks tokens - while Sri Lankans could gain access to public enclosures for £1.50. That price hike represented a 100 per cent rise on the equivalent cost of the last tour to the country in 2012 and the Barmy Army took action in an attempt to reduce the impact on travelling fans. Calling the move "blatant profiteering", they set up a petition calling for a rethink on prices, which has been signed by nearly 3,500 people, and entered into discussions with Sri Lanka Cricket. After conversations over the phone and via email, it has since been confirmed that England supporters will be allowed to use the grass banks in the stadiums at the same entry rate as locals. Barmy Army managing director Chris Millard told The Cricketer: "People are very aware of what’s happening in Sri Lanka now and how they’re trying to rip off English fans to just have a seat at the cricket. "We’ve been speaking to them in recent days and having ongoing discussions with them. They have announced that they won’t be charging for day-five tickets anymore at any of the Test matches which is amazing because they were originally charging £50. "They’re highlighting now that locals and English fans can pay £1.50 a day to sit in the grassy bank area. They’re claiming that this has always been the decision but they didn’t highlight it... but now they’re highlighting that we can sit with the locals for £1.50 a day in the grassy bank, so make of that what you will. "We’re happy, we’ve got somewhere, a little bit further. We’re in a position now where we’re championing the campaign. We’re nowhere near where we want to be." Millard says not all Barmy Army members, some of whom are 70-plus, are physically up to sitting on a grass bank for a day's play. He suggested that £20-£25 per ticket would be a reasonable price for organisers to charge. "We don’t mind paying a little bit more but you can’t be expected to pay more for a day four ticket than you would at The Oval and Lord’s and you get so much less for it, you get a plastic garden chair that’s got one leg missing," he said. "We’re happy to pay 25 quid but don’t rip us off, is all we're saying."